The best tools for dabbling in augmented reality on the web. The past two years have seen an explosion in interest for VR and AR technologies. Interest levels are showing no signs of decline, with many major tech companies rumoured to be working on new top secret devices. It’s also no surprise that AR has arrived on the web, thus presenting designers with some important new areas to consider for content creation. If you're interested in exploring AR, there are a number of web design tools around to help you. Here are some of the best. 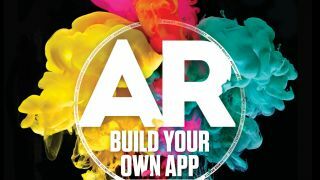 AR.js is the definitive library leading the way for bringing AR to the web browser. Use either three.js or the simpler A-Frame to display your content with this library. While at the moment it is mostly marker-based AR content, there is an example of it working with Google’s Tango platform. Google has developed two browsers for AR (WebARonARCore for Android and WebARonARKit for iOS). If your phone can support these browsers you can install them. Build 3D augmented reality content with three.js, making use of your phone’s abilities to see flat surfaces and position your 3D content on them. This is still technically AR, but focuses purely on detecting faces and augmenting 3D model content on top of the detected faces. Think of all those filters you see in social media applications that put animal ears and noses on selfies, and you'll get a good idea of what you can expect to do with this library. Awe.js has some sophisticated features that make this worth looking into – notably the location-based AR (although this can be replicated with the Geolocation API using any other library). It isn’t quite as well supported as other libraries as there isn’t quite the same community around it. Argon has its own browser – the Argon4 web browser – but it also runs on browsers that are able to run AR natively. This makes a good fallback if you are targeting a demographic that might not have a blisteringly fast phone, but you really want to be inclusive with your technical solution. For more on AR and other current trends in web design and development, don't miss Generate London – buy your ticket today!